Marking its first drop in six days, the Sensex today came off its 7-month high slipping by about 58 points to end at 26,668, but managed to pull off its third straight monthly gain. Marking its first drop in six days, the Sensex today came off its 7-month high slipping by about 58 points to end at 26,668, but managed to pull off its third straight monthly gain. The benchmark index was weighed down by profit-taking amid a lower opening in Europe. The broader Nifty too could not hold on to its earlier gains. During the day, it changed its direction multiple times, in a sign of choppiness. Brokers said caution set in after the index zoomed 1,495 points, or 5.92 per cent, in the previous five sessions and investors cutting down their positions ahead of release of GDP numbers. The lingering worries surrounding policy action by US Fed and RBI, which is due to meet on June 7, kept investors on the sidelines. The triggers for the 5-day rally were upbeat March earnings, an above-normal monsoon forecast this year after two successive droughts, positive global cues and sustained foreign fund inflows. The Sensex fell 57.64 points, or 0.22 per cent, at the close, at 26,667.96. During May, the Sensex has risen 1,061.34 points, or 4.14 per cent, the NSE Nifty 310.30 points, or 3.92 per cent— their third straight monthly gain. From the Sensex pack, Sun Pharma was the biggest loser, with a fall of 6.13 per cent, after the company’s earnings fell well below market expectations, followed by GAIL 2.31 per cent. Among other losers, TCS, ITC, Bharti Airtel, ONGC, Infosys, RIL, L&T, Wipro, M&M, Hindustan Unilever and Cipla tanked up to 2.29 per cent. However, Tata Motors hogged limelight as it rose the most by surging 8.95 per cent after posting a three-fold rise in consolidated net profit for the fourth quarter ended March. Tata Steel, SBI, Maruti Suzuki, HDFC, Adani Ports, Lupin Dr Reddy’s, Axis Bank, Bajaj Auto, ICICI Bank, Hero MotoCorp and NTPC maintained their upward journey. Stocks of jewellery makers such as Tribhovandas Bhimji Zaveri, PC Jewellers, Shree Ganesh Jewellers and Gitanjali Gems surged by up to 3.13 per cent. Overall, 16 shares fell among Sensex’s 30 constituents. The 50-share NSE Nifty also succumbed to profit-booking and ended lower 18.40 points, or 0.22 per cent, at 8,160.10 after moving between 8,213.60 and 8,134.30 during the day. 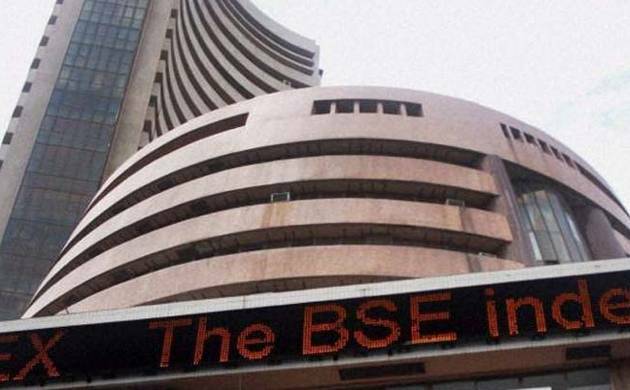 Among BSE sectoral and industry indices, healthcare fell the most 1.39 per cent followed by IT 1.24 per cent, technology 1.23 per cent, FMCG 1.21 per cent, oil&gas 0.68 per cent, power 0.68 per cent and capital goods 0.67 per cent. The broader markets too lay low, with the BSE mid-cap index declining 0.18 per cent and the small-cap index shedding 0.14 per cent. Among other Asian markets Japan’s Nikkei ended 0.98 per cent higher as a weaker yen lifted exporters while investors focused on Japan’s plans for a sales tax hike. Hong Kong’s Hang Seng closed 0.90 per cent up while Chinese Shanghai ended 3.34 per cent higher. European markets were trading in the red in their early deals.